It’s that time of year again, zombies are roaming the streets; pumpkins are lighting up windows; and toffee scorpion candy is all the rage. OXO’s Assistant Bar Manager Sophie Bratt has concocted two frighteningly tasty cocktails for you to enjoy this Halloween. A spellbindingly delicious blend of black sambuca and late bottled vintage Port, mixed with cassis and cranberry to add fruity depth. Its flavour is bold and robust, and for the surprise alone it is an absolute must. Bramley Apple Vodka and green Chartreuse come together with heart-warming brandy in one of OXO’s cauldron-like copper punchbowls. The apple and honey foam topping is as exquisite as the bobbing crabapples are fun. Ideal for four people sharing, ‘The Bobbing Bowl’ is priced at £48. Smaller portions are available on request. 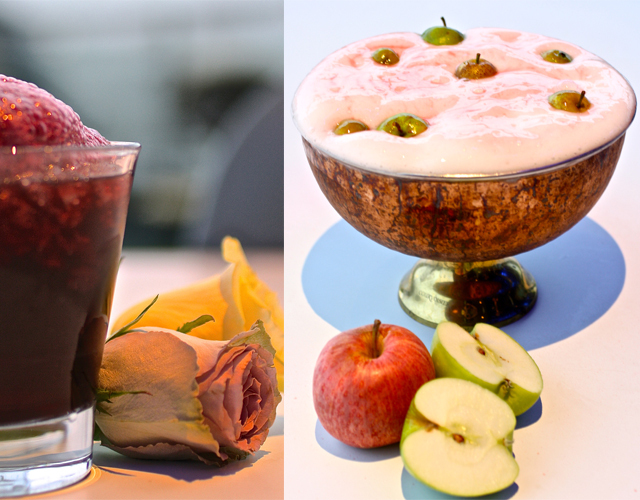 Both cocktails, or rather drinking experiences, will be available from Wednesday 31 October until Friday 2 November at the OXO Tower Bar.